Learn about our operations, compliance and business sectors we service. Read about our specialised tyre collection and recycling service. Make an enquiry about your waste management requirements. We are committed to delivering innovative, environmentally responsible waste management, recycling and recovery solutions to our business customers. We believe in “re-defining waste as a resource” to extract the maximum value from every waste material by recycling or reusing it. 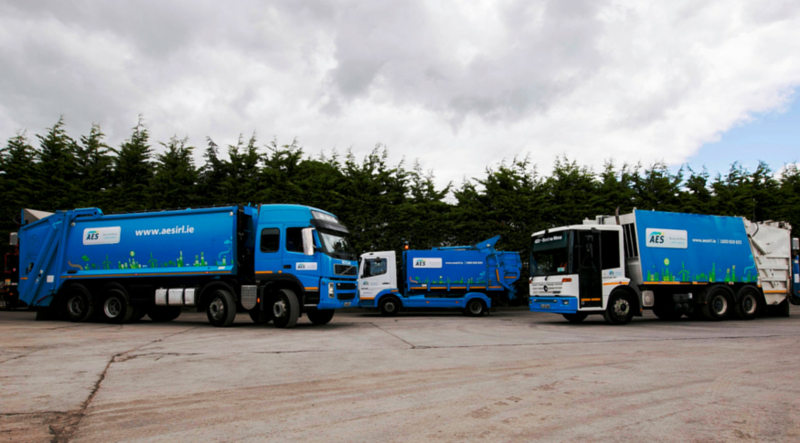 In line with the company’s strategic direction, Bord na Móna has invested heavily in AES, enabling us to become one of the largest providers of waste management and recycling services in Ireland. AES Bord na Móna, in collaboration with the Irish company Lodestone Engineering, are pleased to introduce the Epac mini compactor. Designed and made in Ireland, this compactor system is a new innovation in waste management. This system is a cost-effective and economical solution, will reduce the customer’s carbon footprint and create a cleaner, smaller waste environment. Our tyre recycling and remanufacturing facility, based in Louth, covers all aspects of the rubber tyre recycling process; from shredding, granulation and milling, to the production of saleable recycled products. Our commercial team offers an efficient, reliable and competitively priced waste collection service for businesses of all sizes and needs. Our service also offers expertise in site waste audits, economic and efficient waste management and treatment, reporting and traceability, as well as a skip hire service.